At the conference: Accepted submissions will be presented at the Doctoral Consortium and as a poster at the conference. Archives: Doctoral Consortium abstracts will be published in the Extended abstracts; ACM Digital Library. The official publication date is the date the proceedings are made available in the ACM Digital Library. This date may be up to two weeks prior to the first day of your conference. The official publication date affects the deadline for any patent filings related to published work. The CHI 2019 Doctoral Consortium provides an opportunity for doctoral students to explore and develop their research interests in an interdisciplinary workshop, under the guidance of a panel of distinguished researchers. We invite students who feel they would benefit from this kind of feedback on their dissertation work to apply for this unique opportunity to share their work with students in a similar situation as well as senior researchers in the field. The strongest candidates will be those who have a clear topic and research approach, and have made some progress, but who are not so far along that they can no longer make changes. In addition to stating how you will benefit from participation, both you and your advisor should be clear on what you can contribute to the Doctoral Consortium. The Consortium will be held on Saturday and Sunday, 4-5 May 2019. It will be a single track two-day event with about 25 students attending. Applicants who are selected will receive complimentary conference registration. We will also look to provide DC candidates with some travel support where possible. A Doctoral Consortium proposal must be submitted via the PCS Submission System by 17 October 2018, 12pm (noon) PDT / 3pm EDT / 8pm BST. The proposal must have the following four components, submitted as a single PDF file. Additional details about the expected content can be found here. Appendix 1. A one-paragraph statement of expected benefits of participation for both yourself and the other consortium participants (i.e., what will you contribute as well as gain) (max 1 page). Appendix 2. A letter of nomination from your primary dissertation advisor, that addresses the value that the DC would have for you, what contribution you are likely to make to the DC, and why this is a good time for you to participate in the DC (max 1 page). Appendix 3. A concise version of your current Curriculum Vita (1-2 pages). It is essential for you to ensure that your submission is complete and in accordance with the format and content guidelines for the CHI Doctoral Consortium. Because the Doctoral Consortium Committee expects to receive a large number of applications, submissions that do not meet these requirements will be returned without review. The review and decision of acceptance will balance many factors. This includes the quality of your proposal, and where you are within your doctoral education program. Candidates who have a clearly developed idea, who are formally considered by their institution to be working on their dissertation, and who still have time to be influenced by participation in the Consortium will receive the strongest consideration. Participants in the Consortium will be selected via a curation process by the Doctoral Consortium Committee. Over and above an assessment of research quality, the selection process will also consider additional factors. The goal is to identify a set of students that will benefit significantly from the event and support each other in their growth. As a group, the accepted candidates will exhibit a diversity of backgrounds and topics. Your institution will be taken into account, where we are unlikely to accept more than two students from the same institution and almost certainly will not accept more than one student with the same advisor. Attendees from previous CHI or SIGCHI (e.g., CSCW, UIST) doctoral consortia are strongly discouraged from applying, and should clearly explain how they think attending a second related event would benefit them in a new way. Submissions should not contain sensitive, private, or proprietary information that cannot be disclosed at publication time. Submissions should NOT be anonymous. However, confidentiality of submissions will be maintained during the review process. All rejected submissions will be kept confidential in perpetuity. All submitted materials for accepted submissions will be kept confidential until the start of the conference, with the exception of title and author information, which will be published on the website prior to the conference. Authors will be notified of acceptance or rejection on 30 November 2018. Authors of accepted submissions will receive instructions on how to submit their publication-ready copy (which will consist of your extended abstract only), and will receive information about attending the Doctoral Consortium, preparing your presentation and poster, and registering for the conference. Camera-ready submissions are due on 14 December 2018 (12pm (noon) PST / 3pm EST / 8pm GMT). Partial support for participant attendance at the consortium is provided by CHI 2019. All such benefits are contingent on attending the two-day Doctoral Consortium. 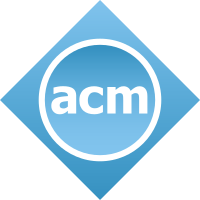 Please note that submissions will not be published without a signed form releasing publishing copyright to the ACM. Attaining permissions to use video, audio, or pictures of identifiable people or proprietary content rests with the author, not the ACM or the CHI conference. All participants are expected to attend all of both days of the Consortium, including a group dinner on the first evening (Saturday 4 May 2019) and a wrap-up reception on the second evening (Sunday 5 May 2019). Each student will present his or her work to the group with substantial time allowed for discussion and questions by participating researchers and other students. Detailed instructions will be provided to participants upon acceptance. Although many fine pieces of work have to be rejected due to lack of space, being accepted into the Consortium is an honour and involves a commitment to giving and receiving thoughtful commentary with an eye towards shaping the field and upcoming participants in the field. Students will also present a poster of their work at the main conference. In addition to the conference poster, each student should bring a small version of the poster (e.g., using letter or A4 paper) for sharing with faculty mentors and other students during the Consortium sessions. Accepted Doctoral Consortium abstracts will be distributed in the CHI Extended Abstracts, available in the ACM Digital Library. The official publication date is the date the proceedings are made available in the ACM Digital Library. This date may be up to two weeks prior to the first day of your conference. The official publication date affects the deadline for any patent filings related to published work.